An additional tag for use with your Tabcat handset, supplied with battery. Best performing homing tag of their kind available on the market. NOTE: Homing Tags are not waterproof or water resistant. 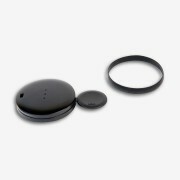 We recommend that you purchase our specially designed splash proof silicone tag cases, offering your tags greater protection against the elements, water damage and knocks, scrapes and bumps. Place the tag you wish to register within arms length of the handset and ensure it is the only active tag in close proximity to the handset. Ensure the plastic strip has been removed to activate battery. To register the tag to button 1, hold button 1 down for three seconds or until you hear a beep. Repeat registration process for any other tags with the other available buttons. Press the right hand side button to switch on your Tabcat – the red status light will flash. Press the left hand side (volume) button and simultaneously press button 1. Hold both buttons down for three seconds or until you hear a beeps. Then release both buttons. This will un-register the tag paired with button 1 and allow you to register the tag to a different button or handset. Repeat this process holding down the left hand side button and button 2 to un-register tag associated with button 2. Repeat as necessary for buttons 3 and 4. Remove rubber bang going around tag. At the top end of each tag there is a hole which you can thread a lanyard through. At the opposite end there a small space you can insert the tag opening tool (included in pack) or small screwdriver. Insert into space and twist and tag will pop open. Replace with CR2032 battery keeping plus side face up. Replace the lid by lining up the lanyard hole and pressing shut. 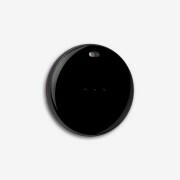 What batteries do the mini homing tags use? 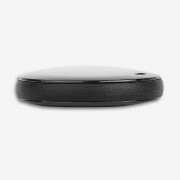 Will tags owned by other people affect my Tabcat handset? No. Each tag is uniquely registered to your handset during a simple set up process. It is then not possible for other handsets to track your tags. How do I attach it to my cat's collar? Making sure you've registered the tag to the handset first, insert the tag into the silicon case. You can now feed the collar through the silicon case to attach.